Chinese solar panels are good and sold at a cheap price, though the quality of Chinese solar panels was under question a while ago. Japan on the other hand, is set to become the world’s biggest solar market by revenues. 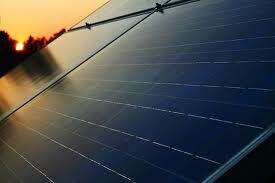 It is expected that Japan will install approximately US$20 billion worth of solar PV systems in 2013. Trina Solar is a vertically integrated company right from the production of ingots to modules. Trina Solar was founded in 1997, with 12 offices worldwide, Trina Solar has partnerships with leading installers, distributors, utilities and developers in all major PV markets and is listed on the NYSE. Trina Solar is one of the world’s foremost PV companies. Trina Solar is one of the lowest cost Chinese solar panel manufacturers globally. Trina Solar modules can be classified for convenience into: Commercial, Residential & Utility purposes. Trina Solar offers i) PA05: 60 cell Universal (residential, commercial and utility) ii) PD05: 60 cell Dual Glass (residential, commercial and utility) iii) PA14: 72 cell Utility, iv) PD14: 72 cell Utility. Solar Frontier modules have a wattage range of 145- 165 W. The solar modules’ wattage for Trina Solar range between 240 W – 305 W. Thus Trina Solar provides a more variation in terms of wattage. Solar Frontier modules have a standard weight of 20 kgs. Trina Solar modules weigh 15.6kg for monocrystalline panels and 19.5 kg and 28 kg for multicrystalline modules. Trina Solar modules come with load resistance of ~5400 pa. For Solar Frontier modules, the load resistance is ~2400 pa.
Trina Solar modules have a power output ~0-+3%, whereas Solar Frontier modules have +10%/-5% power tolerance. Solar Frontier modules also have a black anodized aluminium frame. Trina Solar modules also have frames made of Anodized Aluminum Alloy. Solar frontier modules have PTC/STC rating over 90% and are also UL, JET and RoHS compliant.Trina Solar Modules are manufactured according to international Quality and environment Management System Standards ISO9001, ISO14001. Trina Solar come with a 10 years product warranty & 25 years linear power warranty.